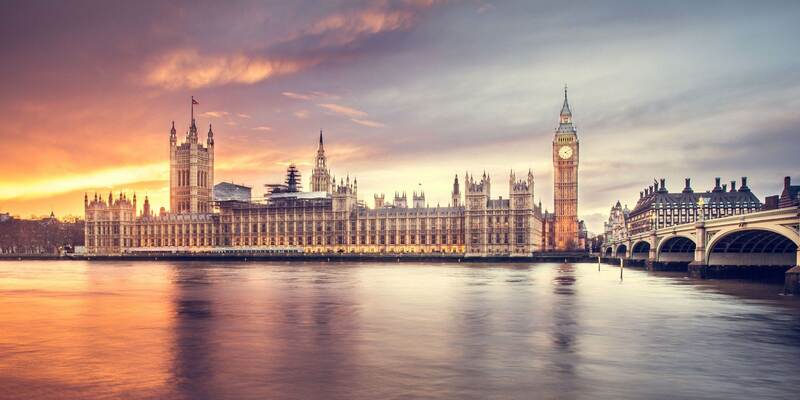 We are giving you the ultimate London local travel guide. Travelling to a new place can be daunting when you don’t know anyone and you have no idea of what to do or what to eat while your visiting. 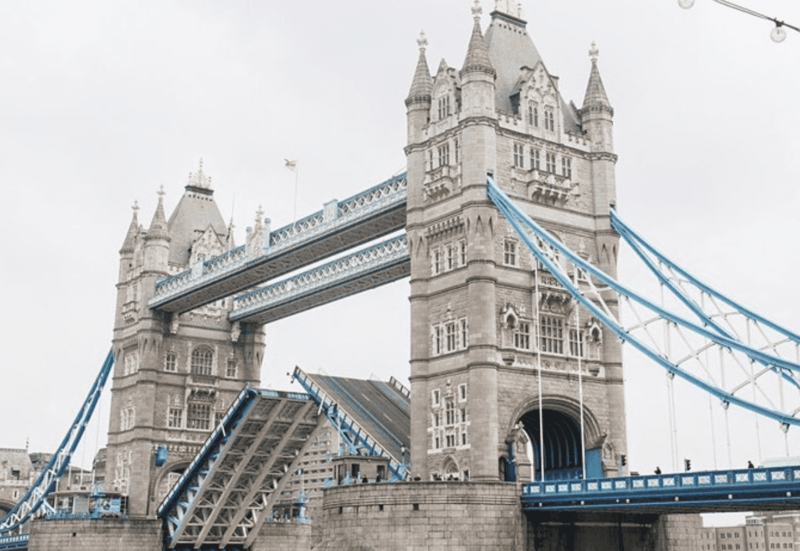 Luckily for you, we have a vast amount of travel tips up our sleeves so that you can have the best time whilst in London. We have specifically only chosen the best activities and included them in this blog so that you can make sure your trip is full of fun and action. 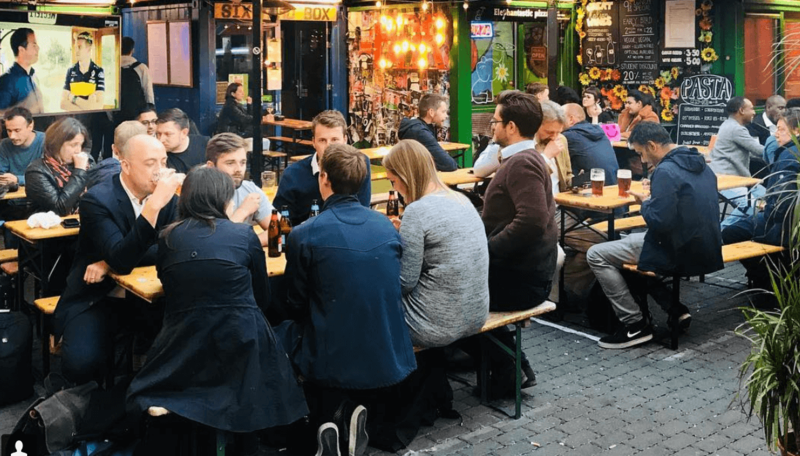 We will show you the best places to drink, eat and see as well as the best Instagram spots in London. Just a quick note, have you read part 1? We’ve got more recommendations there! Located at Peckham’s multi-storey car park, Frank’s Cafe is a great place to hang out with your friends and enjoy a cocktail while overlooking the skyline of London! Children and dogs are welcome so it is a great place for everyone to enjoy the great views of the City! Remember to bring a blanket in the colder months, so you can still watch the fantastic sunsets without being chilly! Come and visit London’s best Irish bar and you cannot visit here without having the true Irish experience – a pint of Guinness! Located near Chinatown this is a great place to visit after a meal. 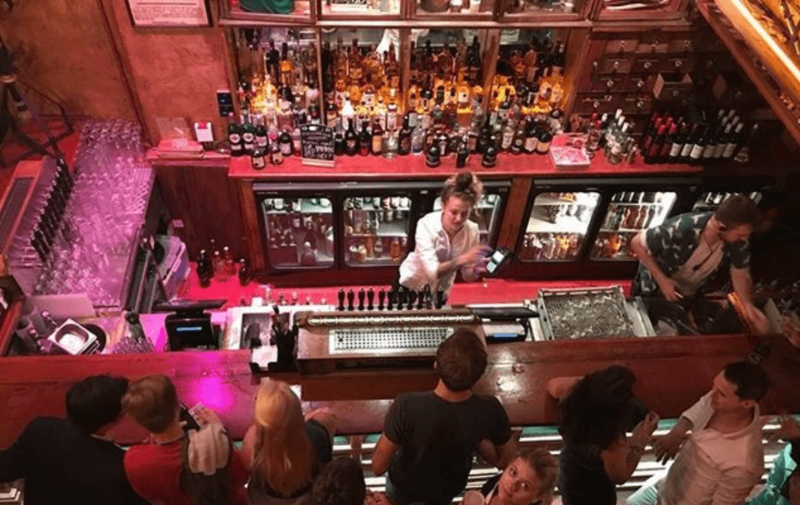 With large TV’s inside the bar, this is the liveliest place to visit during big sporting events and with live music, four nights a week this place is never dull! Just hop on the Bakerloo line for Piccadilly station and you will arrive there in less than 15 minutes! This speakeasy-style bar is a great place to visit and will take you back in time with their live jazz and blues music! Boasting a large menu of great cocktails and a must try if you like sweet creamy cocktails is the Banoffee Scotch! They also serve a small selection of tapas and snacks so you can line your stomach before trying the vast array of cocktails and vintage spirits that they have to offer! Be warned – you will need to book a table in advance as it gets extremely busy and is a popular attraction among locals and tourists! 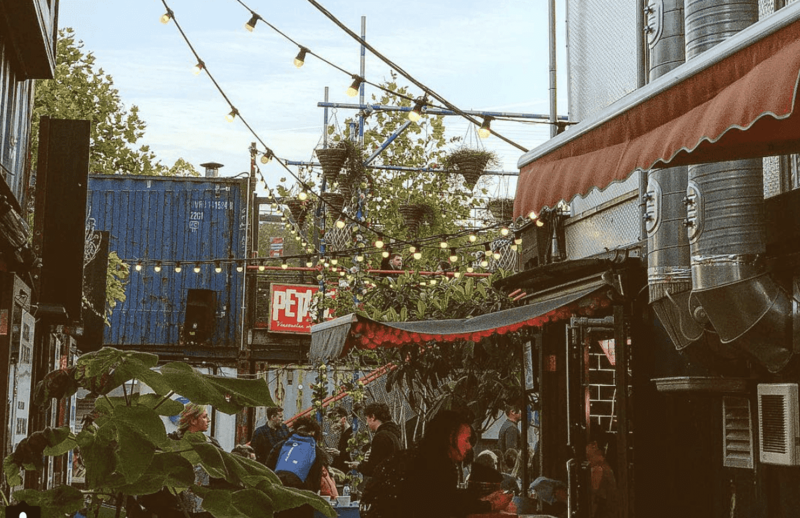 The ArtWorks is a food and drink market that is built from repurposed shipping containers. Offering much food and drink outlets from pizza stalls to vegan outlets, there is always a great option for anyone here! With an outdoor courtyard, it is a great place to visit during the warmer months and perfect for a snack, coffee or dinner! Only a five-minute walk from the hostel, this is a great place to fulfil all your food cravings closeby! Only 10 minutes walk from the hostel, Mercato Metropolitano is a vibrant space with a friendly communal atmosphere! 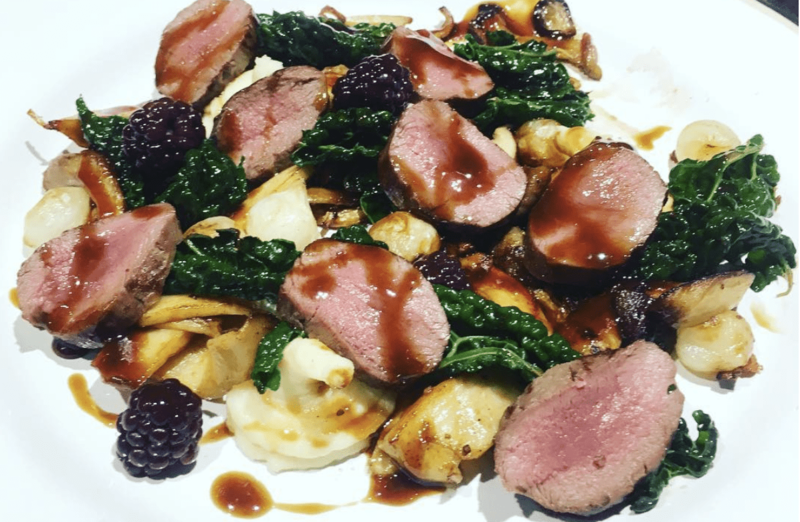 Not only do they serve an array of food and drinks but their ethos is to raise awareness about sustainable food and farming and they only serve food from local farmers and producers! Be sure to give the Argentinian food stall a try as they serve great beef and chorizo for all the carnivores out there! 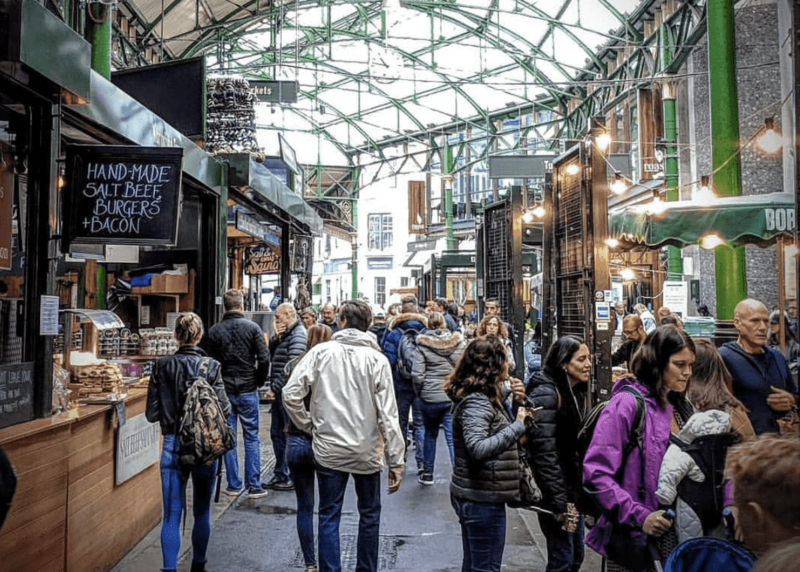 One of London’s largest and oldest markets, Borough Market is a must visit during your stay. 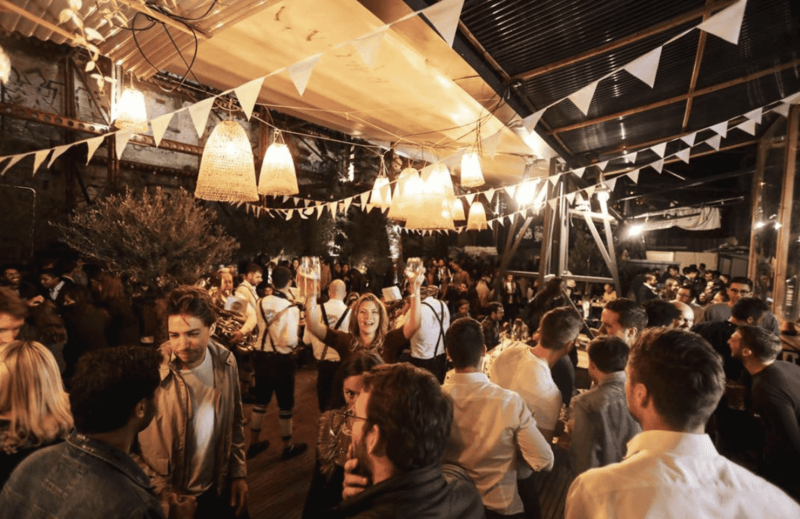 Offering a large variety of food stalls and fresh produce from wine stalls to Artisan Chocolate stalls and Spanish food the market is truly diverse. While you are in England you must have the authentic experience of eating fish and chips and what better way to do that than to visit the stall Fish in the market? You won’t be disappointed! 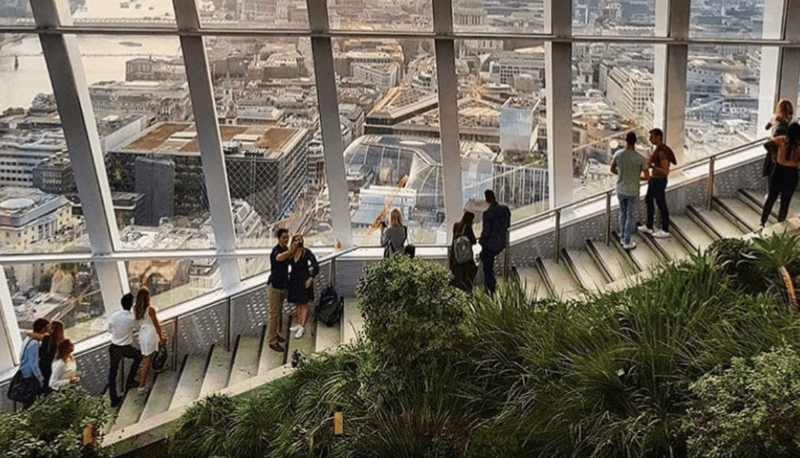 Spanning three storey’s, London’s highest public garden – Sky Garden – offers fantastic 360° views of the city! You can take a stroll through the immaculately landscaped gardens or visit the observation deck to capture a great photo of the city at daytime, sunset or night time! Even better the entry to the garden is free – although you must book on their website in advance – so you can have a great affordable day out! If you don’t visit Tower Bridge, then you never really came to London. While you can gaze upon the amazing structure from the outside, you can also explore the inside! It has a glass floor giving you a unique viewpoint of London. Note: not for those that are scared of heights. Also, you can learn about the amazing history of Tower Bridge as well as visit the engine rooms and towers. Hours Open 24 hours if you’re just coming to browse but specific shops and places are subject to different hours! There are so many great places to visit in Brixton! Why not experience some live music, pub quizzes and comedy nights at Hootananny and dance the night away? If you’re looking for something more casual how about a trip to Brockwell park – here you can soak up the sun, watch the world go by and look at the great views of the city! If you get hungry or want to browse through the local food shops why not visit Brixton market? If you are looking for great backdrops for your photos then this is the place to be. 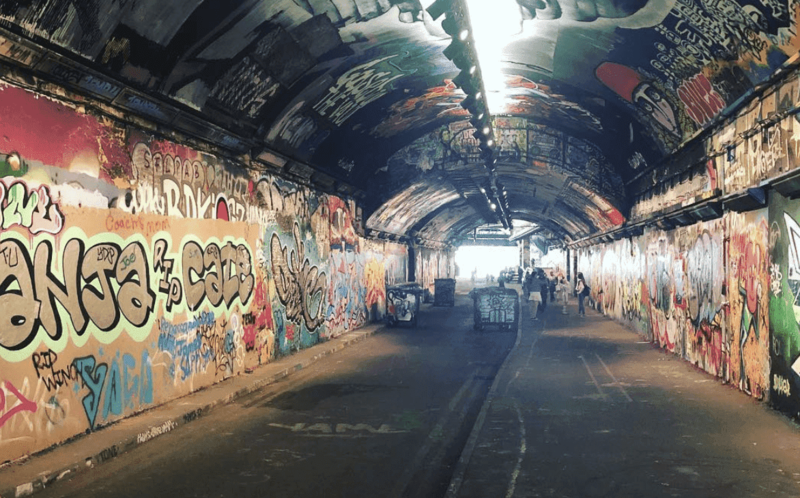 Filled with a variety of amazing art, the tunnel shows the best of London’s street artists. Art covers every square inch of the tunnel and the best thing is that in just the space of a month or two, the whole tunnel changes as new artists craft their masterpieces on the tunnel walls. Whichever backdrop you choose, it will be sure to make your followers jealous! Website Open 24 hours, so if you want a better photo visit later at night when people have finished work! 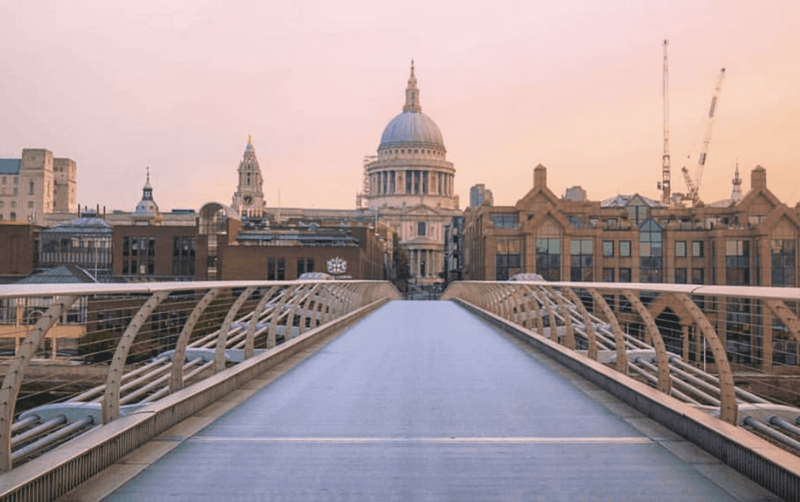 The Millenium Bridge is a steel suspension bridge that crosses over the River Thames linking the Bankside to the City. Interestingly, the locals call it the ‘wobbly bridge’ as when it was first built the suspension was thrown off by the number of people crossing it making it begin to sway and twist! But don’t worry, your pictures won’t be blurry as this issue was fixed so you can still get that winning shot! It has also been featured in many films, particularly fitting to British culture it is seen in Harry Potter and the Half-Blood Prince so if you are a ‘Potterhead’, it is an attraction that you need to get a great photo of! 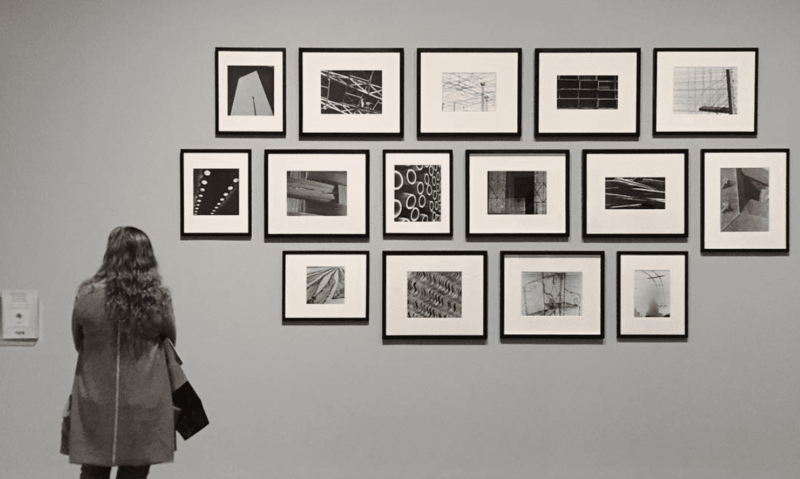 Tate Modern is an institution which houses the UK’s national collection of British art, and international and contemporary art. With amazing art paintings, sculptures and pieces, this is a great place to get a cool Instagram picture with the perfect edgy background!